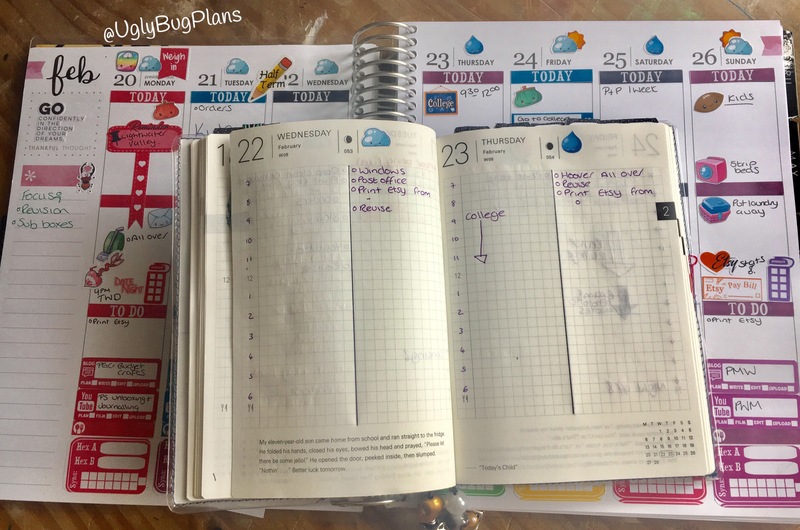 What does a planner obsessed she devil do when she can’t make her mind up in a single planner system??? She uses them all haha. 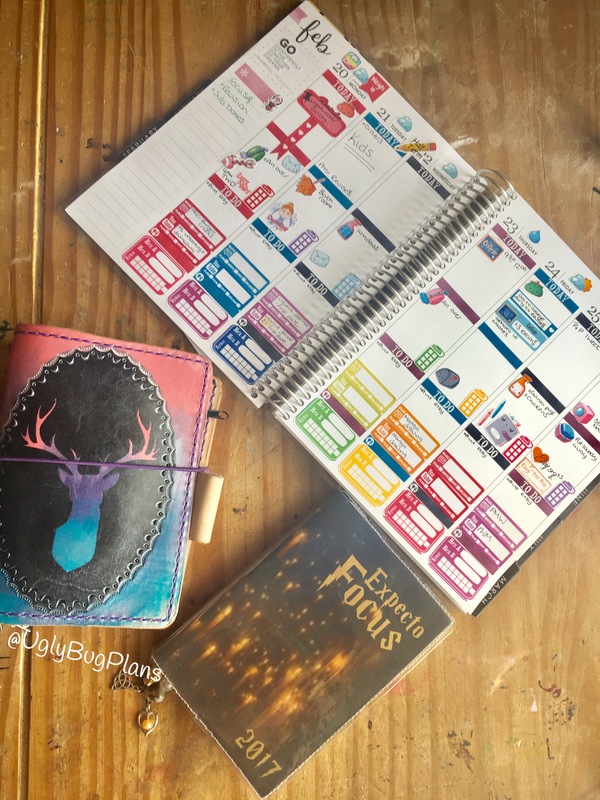 I love my hobonichi techno (a6) and have carried the bullet journalling system over to her, she sits in my a6 UglyDori and comes everywhere with me as a purse. She sits in my desk and I use her day to day to track my to do lists and appointments, the split column on the page means I can seperate the hourly tasks and to do lists so that I can efficiently manage my time, she’s my task master and haunts me if I fail to complete all my tasks, I have carried over the “migrating” of tasks but been really trying hard to set manageable tasks and allocate time for them. My ECLP sits open on my desk as kind of a master planner, I like to see the up coming week and be able to plan my time around future events… the reason I plan is that I am an epic fail at time management.. those 100 tasks I need to do are really important.. but YouTube always comes calling and scrolling on Facebook is always more appealing, by seeing the week ahead I find it almost spooks me into doing the task today, fear of a never ending list spooks me. 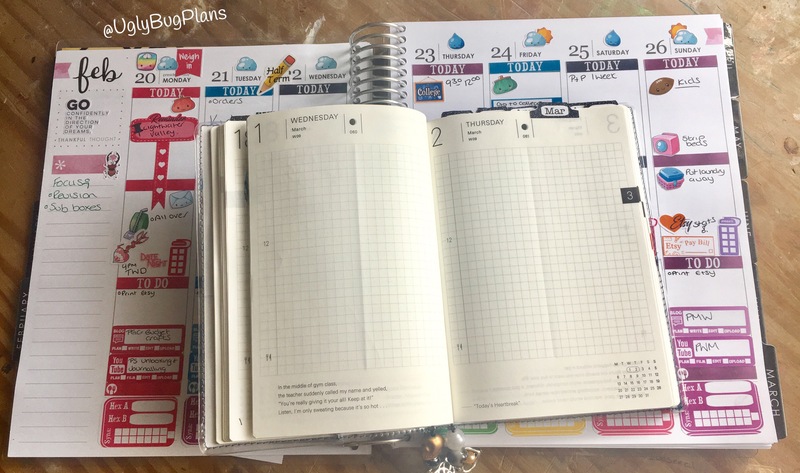 Multiple planning systems can be hard work and need a few “rules” the main one is schedualing appointments, if I am home they go straight into my ECLP in the monthly section; as that is my “master planner” I always transfer the tasks over to my A6 on a Sunday so rarely miss anything, if I’m out they go in my Hobonichi, the problem I had with that is, even with the best intentions, I found I often (read here always haha) forgot that I had scheduled anything in, due to it being a day on one page (DO1P) if I let it sink into the black obvlivian that is my memory I rarely remember it until I am in that daily page. To combat this I use good old stick notes (say what?? They actually have a function?!?) I either write the appointment on the sticky note only or pop it into the day too. The sticky note then goes on the front page of the Hobonichi and doesn’t come off until I have written it in my ECLP. It’s my perfect system: for now!! But don’t forget to check back next week and find out my new favourites, the fickle beast I am!! There is a video coming in the next day or two of me setting the 2 Planners up for this week, alas time disappeared yesterday (YouTube) and I haven’t edited it, feel free to pop over to my YouTube channel. You can now watch the video HERE!